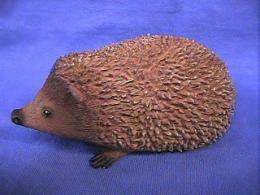 Tan Hedgehog plush stuffed animal sitting pose is realistic stuffed animals toy play fun at Anwo.com Animal World®. Featuring a sitting up pose this Tan Hedgehog plush stuffed animal toy measures 3.5"H x 2.5"W x 3"H has an adorable face, warm eyes and hedgehog like plush fur. 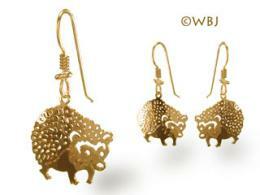 Shop our Hedgehog Gifts Store at Animal World® for our complete selection of hedgehog theme gifts.